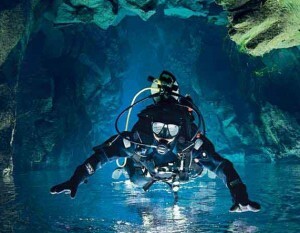 If extreme, unusual and challenging scuba diving scenarios appeals to you, try diving under the ice. Ice diving is one of the most adventurous scuba specialties because it’s an overhead environment and you’ll confront conditions similar to cavern diving but with light and see beauty few others ever experience. You need to be at least 18 years old to enroll in the Ice Diver course. Signals and communications along with line tending and line-securingtechniques. Besides your basic scuba equipment, you’ll definitely want to dive in a dry suit, warm undersuit layers, heated vest maybe and dry gloves . 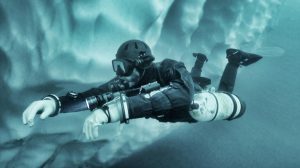 We can suggest other kit configurations appropriate for ice diving, such as a redundant air supply, and other technical diving equipment.